The Ogaden National Liberation front has transferred the two WFP staff members to WFP representatives near the border of Somalia on June 27 2011. For almost a month the Ethiopian Army and security forces has set up many obstacles in order to stop all attempts by ONLF to hand over the two staff members. In order to save- guard the well- being of the workers, ONLF has decided to handover the two workers outside Ethiopia. In a desperate bid to thwart the safe hand over of the staff members to the UN by the Ogaden National liberation Army, the Ethiopian army restricted the movement of the UN mission designated to deal with the situation, while mounting many attacks that were successfully repulsed. The details of those battles and others that occurred in June will be released in subsequent military communiqué. 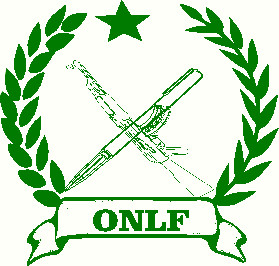 ONL F is aware that the families of the two workers are under the scrutiny of the Ethiopian security forces who may pressure the WFP staff members to avoid blaming the Ethiopian Army.